I'm too queer to be straight, yet too straight to be queer. 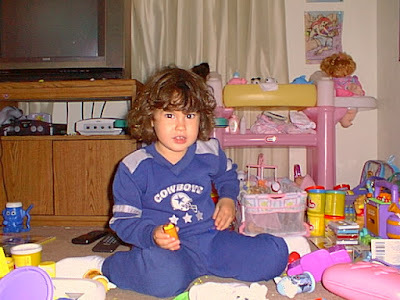 I grew up as a huge tomboy, always wanting to play with Legos and GI Joe dolls, but my parents insisted I have a bunch of "girly" toys instead. I was always jealous of my younger brothers, who were both really into cars, Legos and Nerf guns. I was very unlike my younger sister, who adored frills, pink, and wearing makeup. Thus my mother always complained I wasn't feminine enough. I always played "doctor" with the neighborhood girls, having my head against their chest. The one who got away, was this beautiful girl named Alyssa. We were both really into each other, and I wanted her to be my girlfriend. Eventually, I stopped talking to her, as she had gotten back with her boyfriend. It wasn't until years later she told me she had a huge crush on me, too. I haven't came out as bisexual to my family yet as they are homophobic. I hear the words "It's just a phase!" or "Are you sure you're not just gay?" all the time. who just sees me as a wonderful person. No labels needed! I am gay, age 63, African American. I really wanted dolls when I was a kid. My Father and I were at odds over this. I bought myself a doll a few years ago. Hang in there. Hi Erica. I'm also bisexual and born in 1999. Your parents will believe that you are bisexual in the future, it happened the same with my parents.You need patience and they understanding. Good luck.